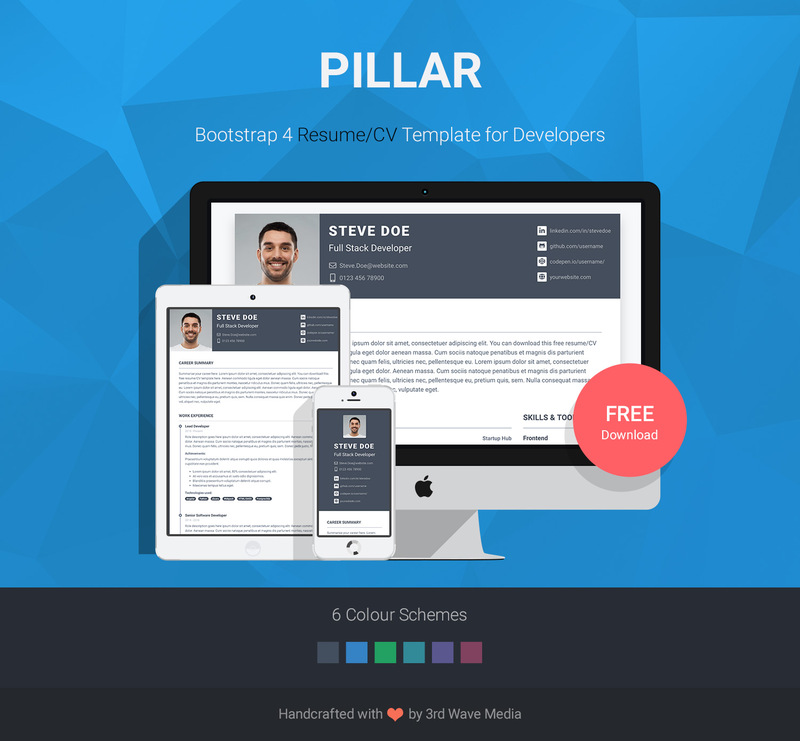 Pillar is a free Bootstrap resume/CV template tailored specifically for developers. 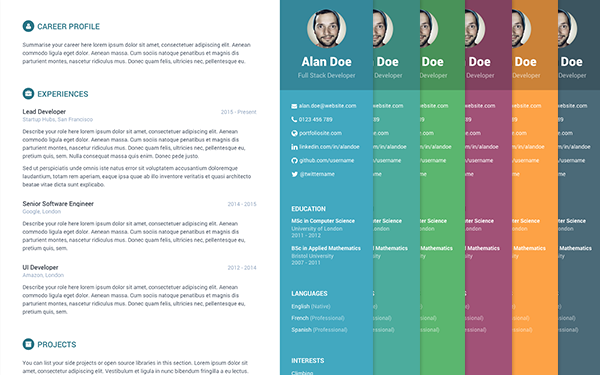 The template comes with 6 colour schemes and are quick and easy to change via the source SASS files. Built on Bootstrap 4, this template is included in our premium Bootstrap 4 theme Instance. 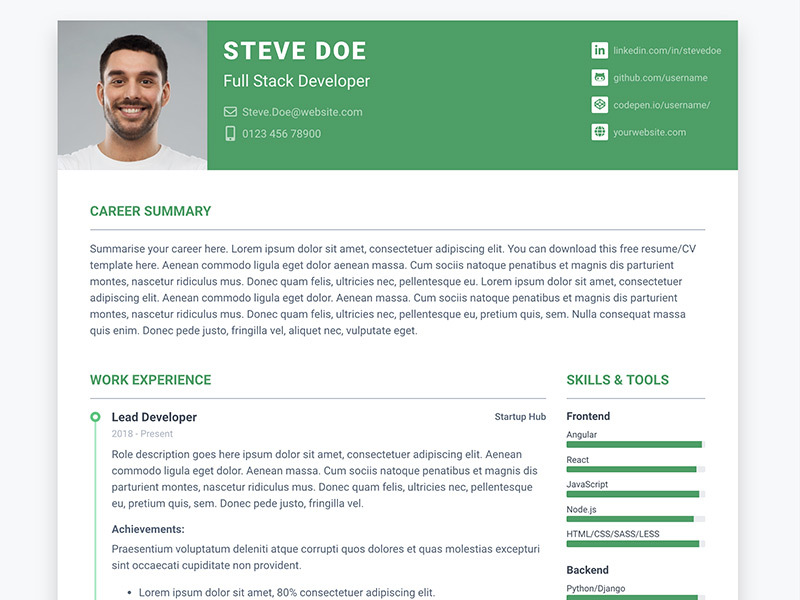 If you are a developer and need to build your online presence, you need to check out the Instance theme as it has all the winning ingredients to get you hired by your potential employers or clients. 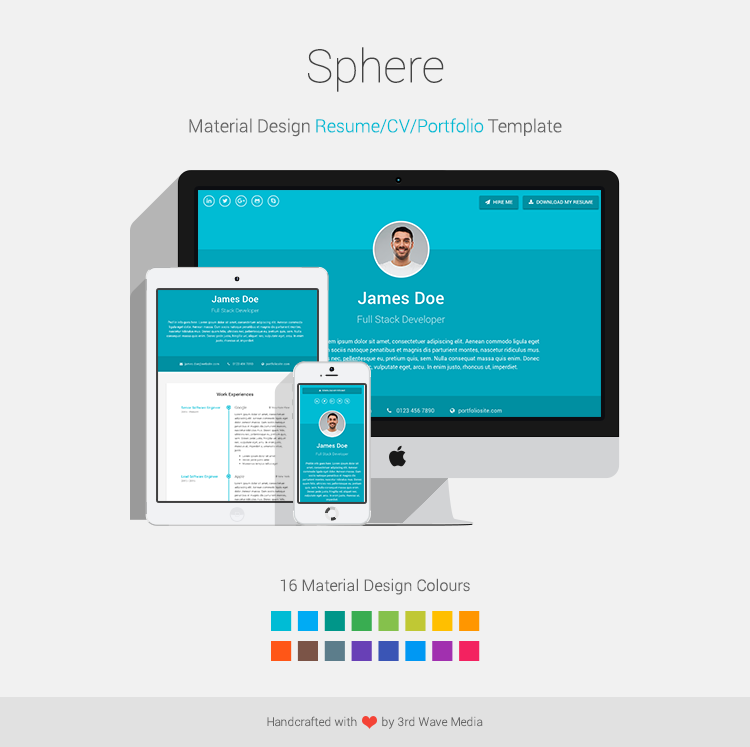 Need a comprehensive portfolio template for your personal site? Check out our premium Bootstrap 4 template Instance. 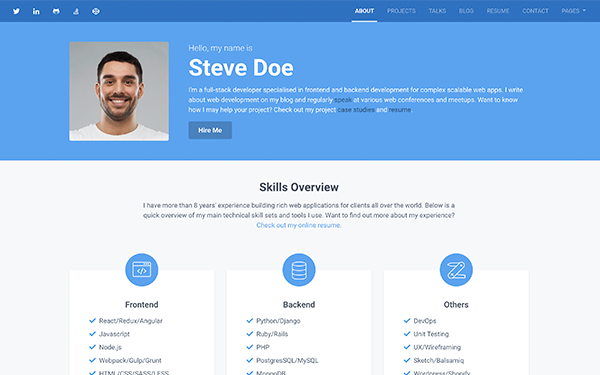 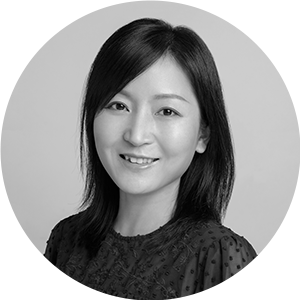 It’s perfect for you to build your personal brand as a developer! 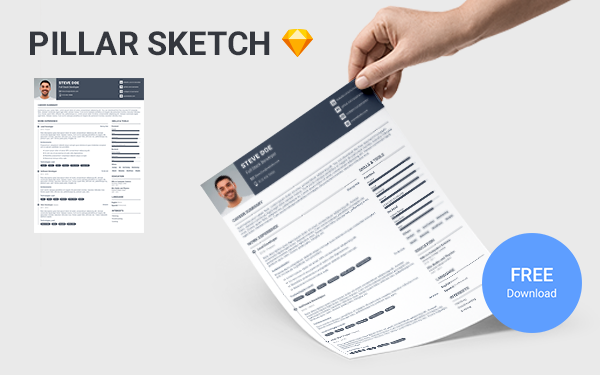 Want to have a printable version? We’ve released a FREE Sketch design template Pillar Sketch for this Bootstrap template.